My first research pillar focuses on globalization and telecommunications. In recent years, liberalization, privatization, and deregulation have become commonplace in sectors once dominated by government-owned monopolies. 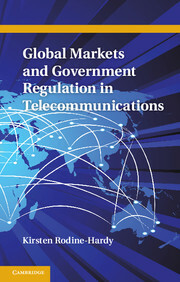 In telecommunications, for example, during the 1990s, more than 129 countries established independent regulatory agencies and more than 100 countries privatized the state-owned telecom operator. Why did so many countries liberalize in such a short period of time? For example, why did both Denmark and Burundi, nations different along so many relevant dimensions, liberalize their telecom sectors around the same time? I argue that international organizations – not national governments or market forces – are the primary drivers of policy convergence in the important arena of telecommunications regulation: they create and shape preferences for reform and provide forums for expert discussions and the emergence of policy standards. Yet I also show that international convergence leaves room for substantial variation among countries, using both econometric analysis and controlled case comparisons of eight European countries. Click here for a 20% discount on my book! Project 1: Nanotechnology – Regulation at the Nexus of Environmental Politics and International Security. Book Manuscript under contract with Stanford University Press. In this book, I build upon the findings in my telecommunications research, and I show how nanotechnology provides an important lens through which to analyze the interaction between global governance and national politics, as well as how these institutions and policies affect political and environmental outcomes. I argue that policy entrepreneurs acting play key roles in the diffusion of institutional innovations and regulatory reform in nanotechnology, with marked impacts on the environment and on global security. I analyze the diffusion of national nanotechnology initiatives, based on an original dataset I collected, and I present cases of transnational nanotechnology regulation, how nanotechnology governance has evolved in the European Union and the United States, and a case study of developing countries, including China and India. This project developed grounded theoretical arguments about security threats and governance challenges posed by nanotechnology. 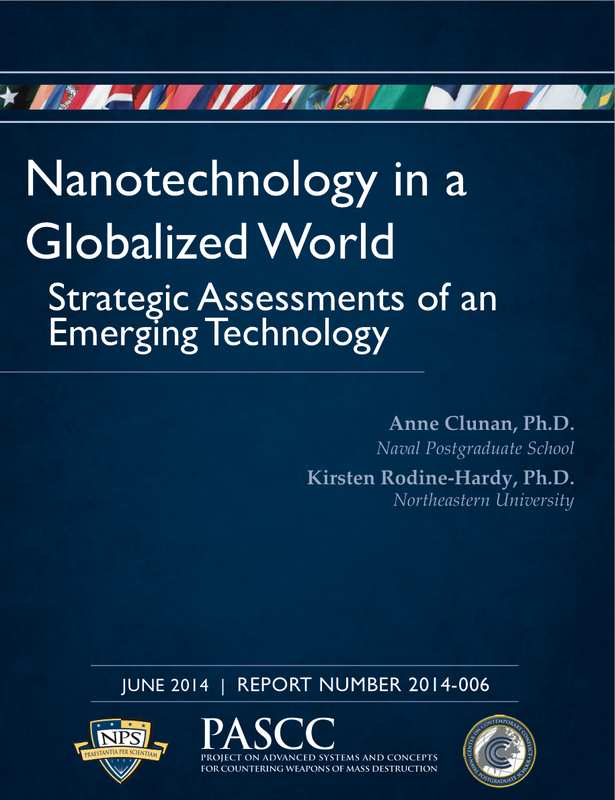 Empirically, the project presented a preliminary cross-national analysis of the threats to and opportunities for U.S. national security and economic prosperity from commercial and military nanotechnologies, divergent strategic policies on nanotechnology development and institutions for regulation and governance of nanotechnology in the U.S., European Union, Russia, China, and Brazil. Project 3: Nanotechnology and Multi-level Governance. What do we understand about the institutional capacity and regulatory styles of federal systems, supranational regimes, and international institutions that shape the governance of the environmental effects of emerging technologies? This project focuses on challenges to effective and responsive environmental governance posed by the emergence of a wide array of novel nanotechnologies in the global marketplace. It engages a range of scholarly perspectives on environmental governance in North American, European, and international contexts, with authors focusing on overarching lessons obtained from decades of regulatory response to the environmental and health effects of earlier technologies (e.g., synthetic pesticides, genetically modified organisms). In doing so, the project utilizes and expands on the theoretical framework of multilevel governance and inform policy discussions concerning the governance of emerging technologies. This working group gathered scholars from comparative and international politics to study questions of multilevel governance and emerging technologies. Scholars presented working papers and met to discuss them in 2010-2011.